By “Democratic Deficit” I mean who is relaying, or perhaps more importantly, who will be relaying the work of the National Assembly to the people of Wales in the future, and, of course, performing that crucial role of holding the decision-makers here in Cardiff Bay to account? We have a UK Media, both broadcasters and print, which fails to report the huge differences in approach to public policy in devolved fields such as health and education. It means their substantial Welsh audiences often get information that doesn’t apply to them. Research by Professor Anthony King and Cardiff University’s School of Journalism highlighted the fact that some of our leading UK broadcasters often default to an Anglo-centric position. A position which promotes policy issues affecting only England as though they apply to the whole of the UK. Professor King’s original report was published in 2008, and at the RTS annual lecture in 2012 he noted that despite efforts by some broadcasters, the problem persists. there appeared to be widespread confusion among the panellists about the difference between the Assembly and the Welsh Government. Would this have happened in Northern Ireland or Scotland? Or even a region of England for that matter? The Welsh viewer pays the licence fee, the same as everyone else in the UK, but there’s a perception we are often short-changed. 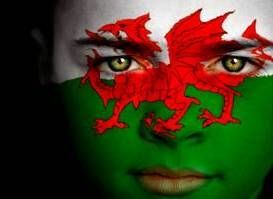 BBC Wales and ITV Wales do a great job in covering Welsh public life, but the fact remains that many people in Wales prefer to listen to, or view, network news platforms and programmes which ignore any Welsh perspective. Perhaps part of the problem is that Wales doesn’t have a strong enough voice on the institution that governs the BBC – the BBC Trust. That, I believe, should be addressed through the establishment of a devolved governance body within the UK Trust framework, as recently proposed by the Silk Commission. A body that could provide independent oversight and scrutiny of BBC outputs in Wales. But in fairness to the BBC they are the least worst offender, particularly when you look at the record of the commercial broadcasters in terms of coverage of Wales and Welsh issues. And it’s not just the broadcasters who are at fault! Depending on which source you believe, between 600,000 and one million people in Wales read a UK newspaper every day, and that’s not to mention the numbers who access UK media websites and mobile apps. Again these organisations fail to portray the different policy approaches taking place in Wales. The problem is further compounded by the financial pressures on our indigenous Welsh national and regional press, which leaves many unable to resource comprehensive coverage of Assembly news. Last year, I committed to holding a series of sessions in the Pierhead in an attempt to start a discussion about the issue and to possibly find solutions. In May, we had a fascinating discussion with a panel of leading UK Journalists including Kevin Maguire, Peter Riddell and Peter Knowles - which was chaired by former head of global news at the BBC, Richard Sambrook. I don’t accept the headline assertion of the UK media that all our debates here are ‘boring’. Any more than I’d say all those in Westminster are interesting. Our debate on organ donation was as wise, profound and important as anything you’ll hear in any parliament, and will have a major impact on people’s lives in Wales and across the UK. The Assembly will of course continue to challenge UK media outlets to properly report the work we do at the Senedd to their Welsh audiences – and those beyond Wales. But it was the other sessions we held with Wales’s local regional press and digital media platforms that perhaps offered more hope and scope for action. As a result much of the Assembly’s focus is on what support can be provided to the emerging digital platforms in covering the work of the Assembly. aiming to work with those organisations to provide induction sessions for trainee journalists to ensure a better understanding of the work of the institution. The National Assembly must, and will, play its part in addressing this issue and I look forward to working closely with all those interested in ensuring plurality of media coverage and scrutiny of the National Assembly for Wales.